The development of Acumatica Construction Edition is fast and furious. It is amazing how much (and quickly) construction-specific functionality has been built in this cloud-based construction software solution. General contractor, Curran Young Construction, makes running a highly efficient company a top priority. Rather than installing a traditional suite of siloed construction software packages, they implemented Acumatica Construction Edition, a modern construction solution with the mobility, scalability and flexibility they wanted for their innovative firm. The newest cloud-based systems combine project and cost management features with contracts, commitments, subcontracts, compliance, retainage and other construction industry needs. The way new technologies are obtained offer greater flexibility than ever before, minimizing costly capital expenditure in favor of subscription models where payment is spread over time and system capabilities are adjusted as required. 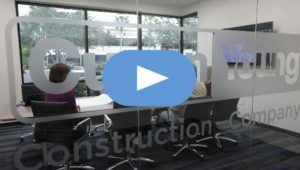 Curran Young Construction is a customer of Alliance Solutions Group and is taking advantage of what Acumatica Construction Edition offers. Watch the video below to see their story and others. Alliance Solutions Group focuses on software and technology solutions. Contact us to discuss your construction software needs at 888.559.9540.